Well the 2018 North Americans are behind us now. A HUUGE thank you to Mike Janota and Sea Star Base Galveston for hosting the event. I sure hope everyone had as much fun as we promised. Also, KO Sailing went overboard with their sponsorship, free beer, great BBQ and beautiful trophies. Congrats to all the winners. Congrats to Hank Saurage for successfully defending his North American Championship. Jay Renehan, finished second overall and won the RS Aero 9 fleet and Sim Thomas winning the RS Aero 5s. Next up for Texas is the Lone Star Shootout which will be held the weekend of June 30 at the brand new Viridian Sailing Centre in Arlington, TX. With the help of KO Sailing, Viridian now has a fleet of 30 RS Aero's. That brings the total Texas fleet to over 40 boats. Stay tuned for more info on this event along with the NOR. As I understand it, this lake is a perfect amphitheater for watching the races. With the addition of Viridian and Sea Star Base, we now have 5 confirmed circuit event locations in Texas. Conroe YC, site of the annual Texas State Championship, SSBG which we plan on having host the RS Aero Gulf Coast Championships next year. Viridian will host the annual Texas Aero Shootout. KO Sailing is working on bringing the fleet to Seabrook Sailing Club, a great bay sailing venue, and of course, Wurstfest, a bucket list regatta for you out of state sailors. The Texas fleet is about to take off like an RS Aero on a reach in a 30 knot puff!!! Hope to see y'all (thats Texan for youse guys) on the water soon!! 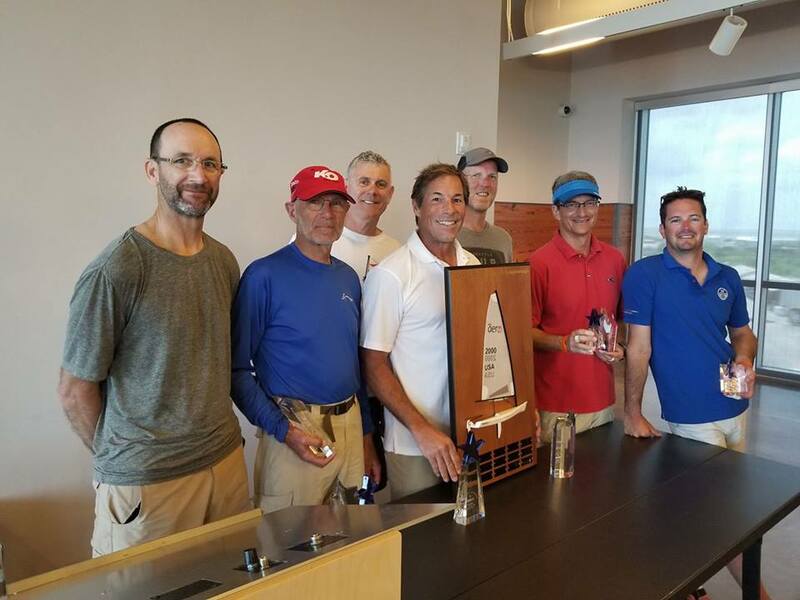 Jay Renehan (1st 9, 2nd Overall), Sim Thomas (1st 5), Marc Jacobi (2nd 9, 4th OA), Hank Saurage (1st 7, 1st OA), Derek Bottles (3rd 9, 6th OA), Bob Patterson (2nd 7, 3rd OA), Pete Gregory (3rd 7, 5th OA).